Habits are hard to break, but you can do it. When it comes to bad money and spending habits, the reward is well worth the effort: the possibility of financial freedom. Most people these days live paycheck to paycheck or have a lot of debt, or both, and being more financially free seems like a pipe dream. But, if you can make some changes to your spending, and occasionally rely on the cash from payday loans, you can enjoy better finances and a better life as a result. Credit cards are major sources of debt for most people. This is how the credit card companies want it to work. You use a plastic card to make a purchase and you know that you won’t have to face actually paying for it for a long time. Even if you can’t pay off your bill, you know you can just pay the minimum. The end result? You spend too much, more than you can actually afford and you tend to do it over and over. When you need to make a purchase or pay a bill and are short on money, instead of credit cards, turn to payday loans. These loans are short term and you pay them off quickly, in full. One of the difficulties with using credit cards is that you can’t see the money you’re spending. It’s a psychological fact that most of us will spend more when we can’t see the money. When you use payday loans, you get money transferred to your bank account. Instead of just using the money virtually, withdraw it and use it as actual cash. 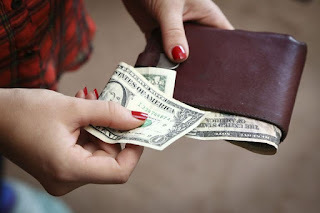 Pay for things with cash and you will automatically spend less as you see the money leaving your hands. It’s a great spending habit to have. Relying on payday loans when you need extra money is a smart choice, but you may still be in danger of overspending that money. 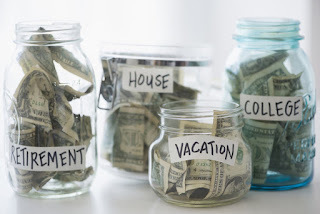 If your bad spending habits persist, a great new habit to form is to make and use a budget. When you borrow money through payday loans, have an exact idea of how you will spend it, and stick to that plan. This will prevent you from overspending and buying things you don’t need. It’s hard to get in the habit of making a budget, and harder still to stick with it, but doing so will help break a bad habit of overspending. Another mistake so many of us make with money is to earn and spend it aimlessly, without any future goals. This is how things get out of hand and lead to bad debt. Set some goals for the future, things like starting saving or making a major purchase like a new car or home. You will have something to work toward and that will automatically make you change some of your bad spending habits. Use your payday loans to help further your goals too. They’re easy to get, and you can access them any time of day. Our Personal Loan Online Made Easy – Read About These Industry Secrets! 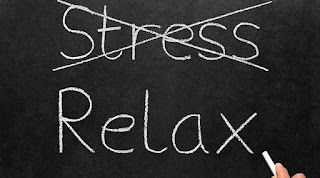 There are many times in life where what’s going out and what’s coming in just don’t seem to match, let alone leave room for relaxation. 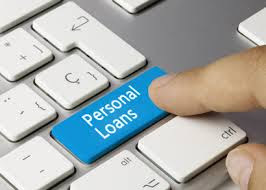 If you need cash now to make ends meet and get you to your next payday, consider a personal loan online. Not all pay periods are created equal and sometimes we are left short. A personal loan online can help you catch up without all the hassle. Fill out a short and easy application and let our lenders help you get the rate and terms that will get you to your next paycheck and relieve a little stress. Your overtime hours that you put in this week may not be on this paycheck, so get a personal loan online. Pay it back with simple payments outlined by the lender. The application is easy to complete and the guidelines are easier to follow. If you need cash now to get you to tomorrow then what you are looking for may just be a personal loan online. Get an instant quote and see if a personal loan online can help you today. To put it simply a personal loan online provides you with three things we need in every area of our life-convenience, options, and support. A personal loan online provides a short and easy-to-follow application that can be completed on any device in minutes. Also, our terms and payment plan are outlined by the lender in a simple pay schedule. That ease can be hard to find when applying for a personal loan elsewhere. You can also complete the application from the comfort of your home and avoid long lines and headaches. 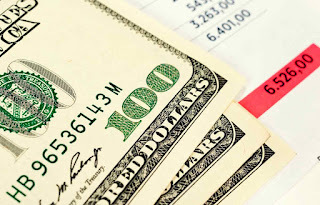 We connect you with multiple lenders that compete for your business and give you choices that other lenders do not offer. With convenience and choice, we also provide the support you need to pay those unforeseen expenses the way that you choose and when you choose. If you’ve felt like you just can’t get a handle on your expenses try a personal loan online so you can catch up and relax. If you’ve felt that a personal loan online may be what you are looking for but are worried about your bad credit, worry no more. Our loans are fast, easy, and reliable and we help people that banks may not consider. We are one of the easiest online personal loan providers and have high approval rates. If you need to take care of expenses and think a personal online loan could help, simply fill out our application and you could have the cash that you need as early as tomorrow. There is no collateral required and we never contact your employer. Use a personal loan online for any purpose and complete the application from any device. Life is too complicated and it is such a waste to worry it away. Come work with experts and see if a personal loan online works for you. If you’re considering getting tax loans, you probably want to know more about them. As a smart consumer, you want the details and all the information before making a decision. A lot of people have made the choice to take advantage of these loans. Here’s what you need to know going forward. Before you hesitate to get tax loans because you assume they are not available after the official end of tax season, know that these loans are always available. We have lenders in our network that are always ready to provide tax loans because they know that you may have an extension on filing your taxes or that you may be planning ahead late in the year. Another assumption some people make about tax loans is that to get one you have to show that you have a refund on the way. A lot of people prefer to get these loans when they have refunds coming, but it isn’t necessary. You can get approved regardless of the status of your tax filing, whether you owe the government or you are getting some money back. Not only are tax loans available all the time, at any time of year, they are also available online. You don’t need to go to a tax preparer, accountant, bank or cash advance store. To get tax loans you only need to go online to fill out a short application. You can even access these loans through a mobile app. To apply is as easy as turning on your computer or pulling out your smartphone or tablet, from wherever you are and at any time. Tax loans are a lot more accessible than many people realize. You don’t have to prove you have a refund and you don’t have to show that you have a great credit score. Your application will include information about your job history and your paycheck, but otherwise you don’t have to provide a great deal of information to get approved. When you need cash soon, one of the best ways to get it is with tax loans. Our lenders work really fast because we know that people are often looking for loans that will provide quick cash to take care of serious money issues. When you apply on line or with the app, you can get approved in just a couple of minutes. The cash will then be transferred to your bank account by the next business day, which often translates into cash in your account by the very next morning. Everything you need to know about tax loans is right here. You now have the information you need to decide if these loans are right for you and if you could benefit from easy approval, easy access, and quick cash from tax loans. When consumers are shopping for loans, it’s important that they have all the facts. Not everything is straightforward in borrowing, but it should be, and not everyone understands what the real differences are between bank loans and the quick loans offered by alternative lenders. Our network of experienced and professional lenders offers a unique product, one that you could possibly benefit from, so here are the real differences between what we offer and what the banks offer. One of the biggest and most important differences between bank loans and quick loans available online is speed. Everything about these loans is faster than bank loans, from finding the application to getting the cash. Applying takes literally a few minutes, as compared to potentially hours at the bank; getting an answer on your application takes less than 90 seconds; and actually getting your hands on the money promised by the lender takes less than 24 hours for most borrowers. 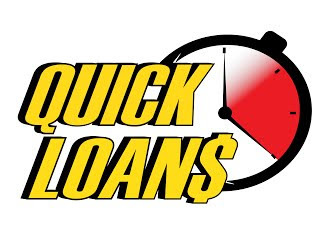 Quick loans are truly quick, while bank loans can take days to weeks to get you cash. Bank loans are generally pretty inflexible. Banks have a rigid way of doing things. They may only offer mortgages or car loans, for instance, when you just want a general personal loan. Banks also tend to offer loans only in higher amounts. Quick loans on the other hand will provide you with a loan for any need you have and in amounts from just $200 up to a few thousand dollars. Important for a lot of borrowers is the fact that quick loans are short-term loans. This means you can get the loan, use the cash, and repay it and be free of the debt again in as little time as one week. Some may last longer or you may choose to roll over a loan, but still be debt-free in two to three weeks. Bank loans are usually more long-term, and you can end up hanging on to that debt, making payments and paying for interest, for months or years. Maybe this is the most important factor for you: the complete lack of stress involved with borrowing through quick loans. Bank loans require hours or even a day of your time, waiting on approval, possibly getting rejected, waiting for the cash, and then months of repayments to make. 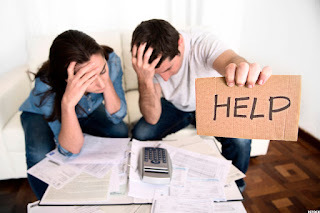 Quick loans require very little time commitment from you, and that means a lot less stress. They also only require you to meet a few basic standards to get approved, so rejection is not common. In fact, approval rates are very high. Finally, you don’t have to wait long, stressing over expenses, to get the cash you need. You can have it by the next business morning. Now, with the facts in hand, you’re ready to choose between bank loans and quick loans.